With the rise in demand of hoverboards, the manufacturing firms have also expanded their area and along with that newer brands have shown up in the past few years. Some of these brands managed to secure a position and became successful in winning the hearts of its customers while some failed miserably. Over a detailed research, we have figured out such brands which are in existence and will continue to serve the market of self balancing electric scooters. The love for hoverboards and the hoverboard lovers are both increasing in quantity. So, we need to put forward only those brands which are actually excelling. Most of these are US based firms which have their units worldwide. To make it clear that we actually respect your requirement for the hoverboards to be 100% safe and secure, and that is why we have brought to you only those brands which have successfully passed the rigorous tests and have the UL2272 certifications. The batteries used by all the below mentioned brands, as well as brand names mentioned on our website, are trusted and manufactured by world’s leading firms. Swagtron is one of the leading hoverboard manufacturing firms in the world. With over half a dozen of design models it ranks among the top 10 hoverboard brands. The name Swagtron has a class in itself. These are the UL certified hoverboards and come with all the great features which anyone would aspire for. These are one of the better products which are best suited for the new riders. These hoverboards are reliable, and are fun-filled. There are exciting LEDs, app features, and capability to climb inclines. These are ideal for kids and have value for money. Moreover, there are usually three modes for the riders: the beginner, intermediate and the advanced modes. They come in exclusive design which can take you beyond the limits. They have got crazily attractive set of wheels and structure which can make you fall in love on the very first go. The Gotrax hoverboards are USA based firm whose centre lies in Denver, Colorado. Over the years they have managed to secure a decent position in the market and became the leading manufacturers of electric scooters. The hoverboards belonging to the Gotrax family are believed to work the best in every possible way. Otto self balancing electric scooters are among the very cheap hoverboards which come with exciting features and is long lasting. The craze for hoverboards has reached the pinnacle of every other person’s interests. These are ultimate fun when it comes to going out on a Sunday evening ride. The quality of Otto hoverboards are well trusted and have always been a satisfactory product for all of the customers on a whole. Razor is one of the leading manufacturers of electric recreational products and now has become the top class electric scooter manufacturer over the past few years. If you see our article on top 10 hoverboards to buy in 2018, you will find these hoverboards sitting on the top of the list. They are exceptionally good in every possible way they are manufactured. Razor is a US based firm which excels in the field of hoverboards manufacture. This brand has well established its name in the hoverboard industry for long and is regarded as the top hoverboards presently. The main aim of Epikgo is to manufacture self balancing electric scooters that can run on all types of terrains ranging from hilly, sloppy, rugged or simply plain roads. The MegaWheel self balancing electric scooters are durable, reliable and easy to recharge. They come with LEDs and sturdy built. However, the Bluetooth facility is not available in this. 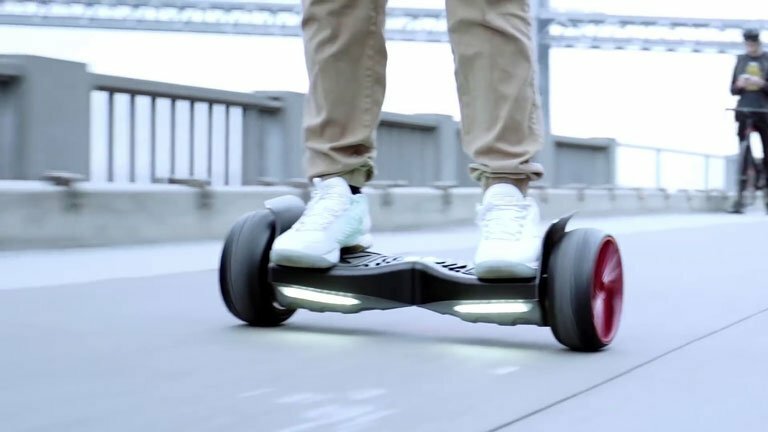 These are among the cheapest hoverboards which come with other exciting features. These are good for kids, adults or anyone who wish to take a full-fledged fun ride on OXA electric scooters. These are double patented personalised hoverboards with 3rd generation intelligent control system. As and when you shift your body weight it automatically adjusts itself for a smoother ride. Out of all the hoverboards that are manufactured under the brand name of Sagaplay, the Sagaplay F1 is the most popular one. It is primarily best suited for the kids. However, it is not merely a kid’s toy. The design is so well structured and built that it is good for the teenagers as well as young adults.